The pitter patter of tiny feet brings joy to any home, but imagine having the pleasure of helping new life into the world, day in, day out? 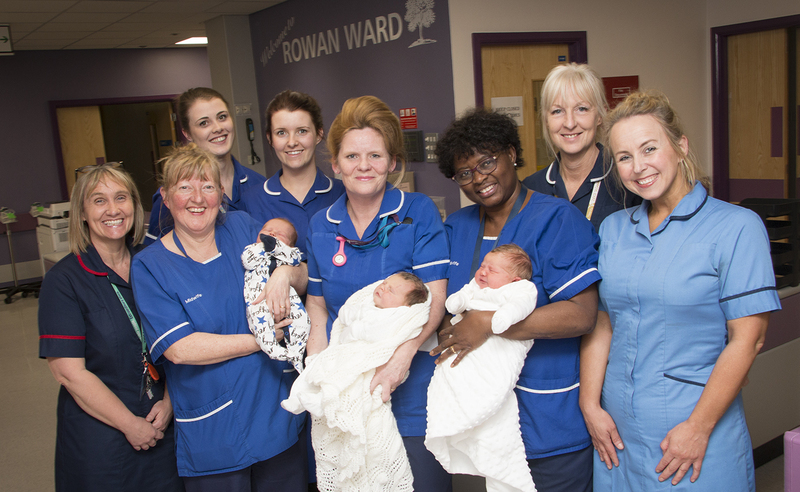 More than 260 hospital and community-based midwives working for Hull University Teaching Hospitals NHS Trust call this pleasure their vocation, and it’s their work which is to be celebrated this Friday 5th May, International Day of the Midwife. With their help, and the support of some 54 midwifery assistants, a total of 5502 babies were born across Hull and East Yorkshire in 2016. “Being a midwife has changed a lot over the years. Women’s health needs are changing, as are their thoughts and preferences around how and where they give birth, so we have to be sensitive to those needs and guide people where they may not know what they want. “There’s also a role in supporting the partner or family too, as many partners can feel quite vulnerable or unsure what to do when the focus is on the woman in labour. “What’s really lovely though is that, for those women who are low risk and have a straight forward pregnancy, the midwife can be the single person who provides all of that woman’s care, and that’s such a privilege. On a personal level, I wanted to work in a job which made me and others happy, and sharing in people’s magical moments in time has given me so much. “I have always found pregnancy and childbirth fascinating from a young age and supported my cousin through a home birth before I became a midwife. My auntie also had a premature baby when I was young and from this stage, I always knew that I wanted to a midwife. Locally, the profile of midwifery has soared recently thanks to the opening of the new midwife-led Fatima Allam Birth Centre, and the ‘Born into a City of Culture’ project, instigated by Community Midwifery Sister, Sallie Ward, which will see footprints of every baby born in 2017 made into a giant piece of artwork. “Some people come to midwifery later in life; often they decide on a different path or become more interested in midwifery once they’ve had a family of their own. “Others may have worked as a nurse previously in a different health specialty, or come straight through college and university, while others work as midwifery assistants first and then love the job so much they go on to study to become midwives themselves. “Whatever the route in, a midwife needs to be enthusiastic, passionate, good with people, and have the determination to work hard and change people’s lives for the better.